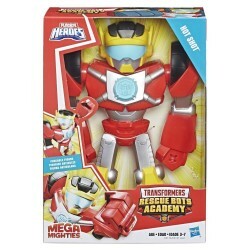 Selected to become a Rescue Bots Academy trainee by none other than Optimus Prime himself, Hot Shot is the hero of the team! 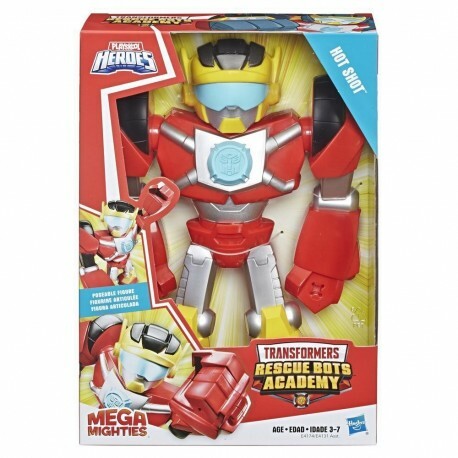 Race to the rescue with the Transformers Rescue Bots Academy Mega Mighties figures! Sized right for small hands, these bulky 10-inch toy robots let little adventurers get a grip on big fun. With 3 points of articulation -- head, arms, and waist -- kids can pose the Hot Shot action figure in different ways. To add to the excitement, the Hot Shot toy also features a fun preschool-perfect expression. 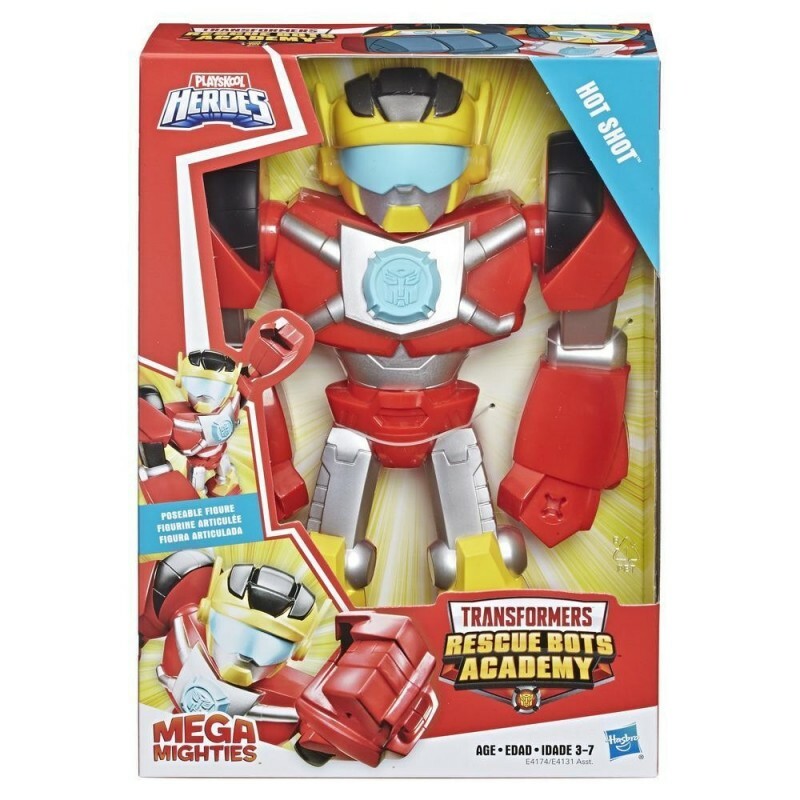 Imagine going on an exciting rescue mission alongside Autobot Hot Shot! Robots and humans saving the day, working together the Rescue Bots way! • Product does not convert.